Apple introduced it to the iPhone 7 Plus in 2016 and since then, dual cameras have become an almost unavoidable feature even on mid-range and high-end Android phones. However, not all dual camera settings are the same . Some devices in fact have a primary objective that performs the main work while the second presents itself as a monochromatic, wide-angle or telephoto lens . Today we will deepen the telephoto functionality and its importance in smartphone cameras. A telephoto lens is designed to get as close as possible to a distant subject . With their longer focal length, telephoto lenses allow you to zoom in general between 2-2.3x of the frame without compromising image quality. The iPhone 7 Plus , the iPhone 8 Plus , the Samsung Galaxy Note 8 , the OnePlus 5 , Xiaomi Mi A1 are just some of the smartphones with dual cameras with a large and telephoto lens. With a 2x optical zoom, you can also use digital zoom to get to 10x. The telephoto lens is mainly used to focus on the background of an image and change perspective, to allow greater depth. The telephoto lens works much better than a digital zoom, which basically enlarges and crops the photo. It has a focal length double that of the main lens and offers an instant 2x optical zoom. In addition, it also has a narrow field of view that makes distant objects similar to those closest to the camera. In addition to providing the much needed optical zoom, the telephoto lens also has the ability to shoot some decent images with a shallow depth of field. Also, complete the main camera in “portrait” mode to provide the bokeh effect. As the name suggests, a wide-angle lens allows you to have a broader perspective without having to step back. Wide-angle lenses offer a wider field of view while telephoto lenses give a narrower view. He debuted for the first time on LG G5 last year and then on LG G6. However, wide-angle lenses divert attention from the individual elements within the landscape and highlight only the surrounding environment. On the other hand, the telephoto lenses focus more on the size and shape of each distant element and offer a more vivid perspective. Some manufacturers even add the background blur effect, which translates into stunning images in “portrait” mode. Combining a telephoto lens and blurring the background gives far better results than applying background blur on wide-angle images. 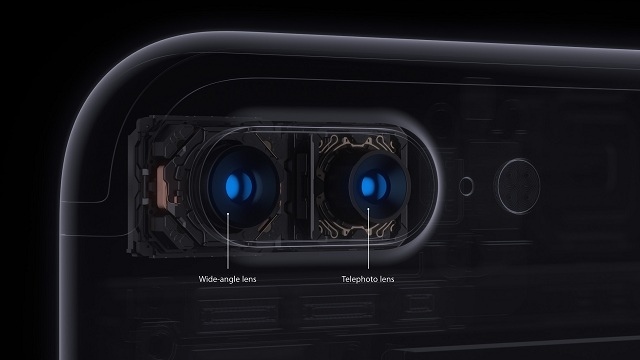 Smartphone makers choose different types of lenses for dual camera setup. Some of them prefer the combination of a wide-angle and a telephoto lens. While others like LG have two wide-angle lenses. However, the recently launched OnePlus 5T features a wide-angle lens and has dropped the telephoto lens in favor of a low-light camera. Meanwhile, Huawei is known for its dual-lens RGB (color) and monochrome (black and white) configuration. The Honor 8 and the Honor 8 Pro, the Huawei P9 and the P10, high-end, offer all the dual-camera configurations of this unique combination. So, are you thinking of buying a double-camera phone? Will you choose one with a telephoto lens? Make the best choice!